Sometimes, you just want a BURGER. But, other times you just a need a protein-acious, patty that will satisfy but keep you in the health zone. 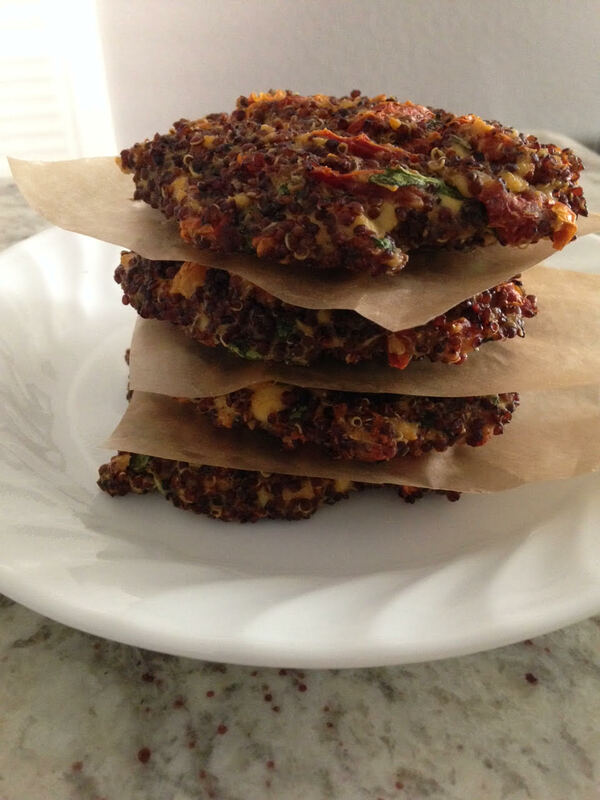 Veggie patties are a stupendous way to start or finish your day. Sure you can buy the over-priced, bland, wheat-filled, hockey puck veggie burgers. Or you can make these lil ladies! Eat as a patty, pair with eggs, crumble over a salad or dunk in your soup! On an olive oil greased pan, scoop palm-sized amount of ‘batter’ and gently flatten each one. Eat right away or store in fridge with wax paper between patties. Pop them in the toaster over on 350 for ~ 3 minutes to reheat all week. Taste great atop a salad with dressing, by themselves, or with mustard, ketchup and onion!